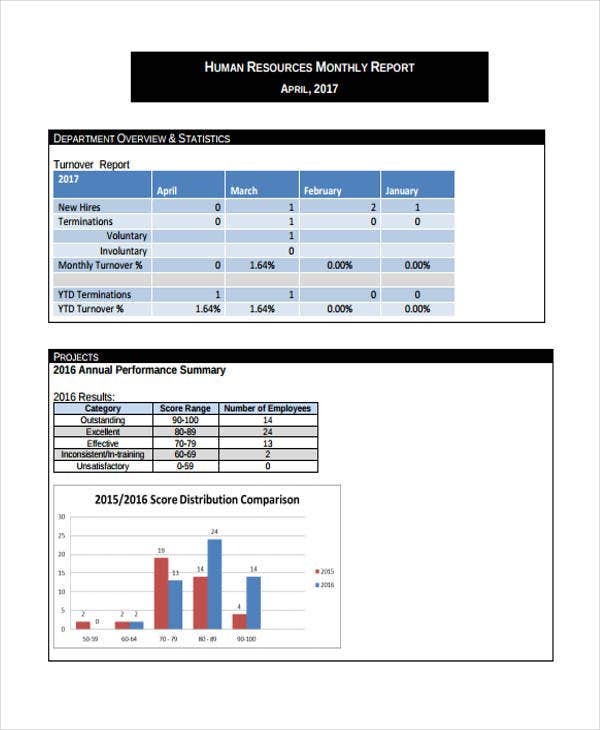 Monthly report samples are common and essential in every workplace. 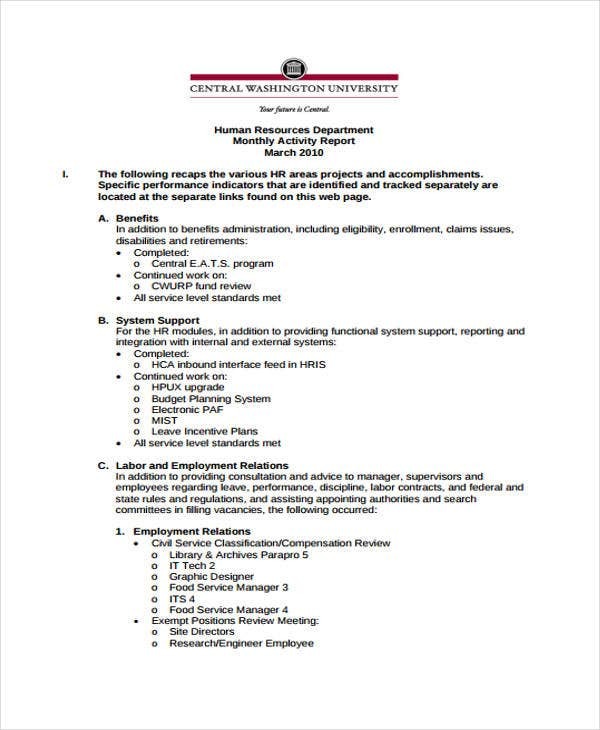 It basically means every calendar month is monitored to ensure accountability, transparency, and fulfillment of different initiatives and to-do’s. 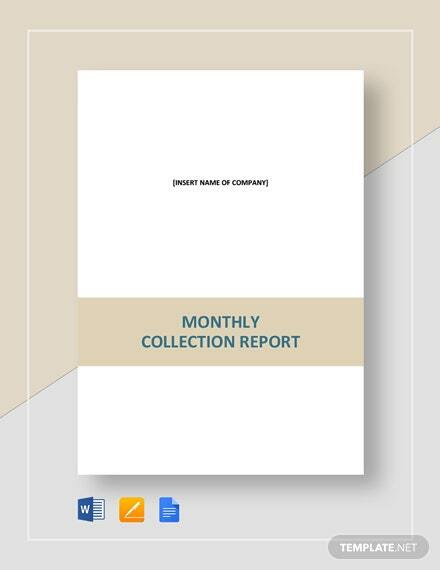 An executive report consists of all the conclusions drawn from several monthly reports. 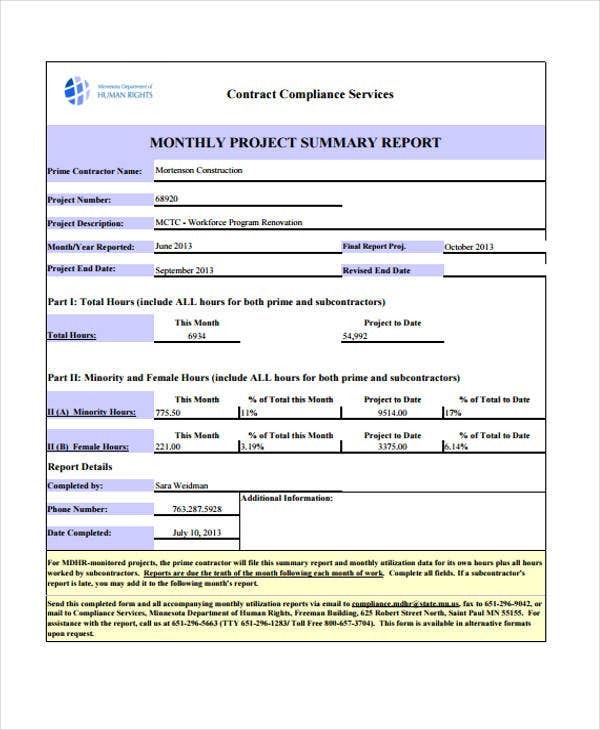 Even incident reports submitted on a monthly basis could be kept track in a monthly report. 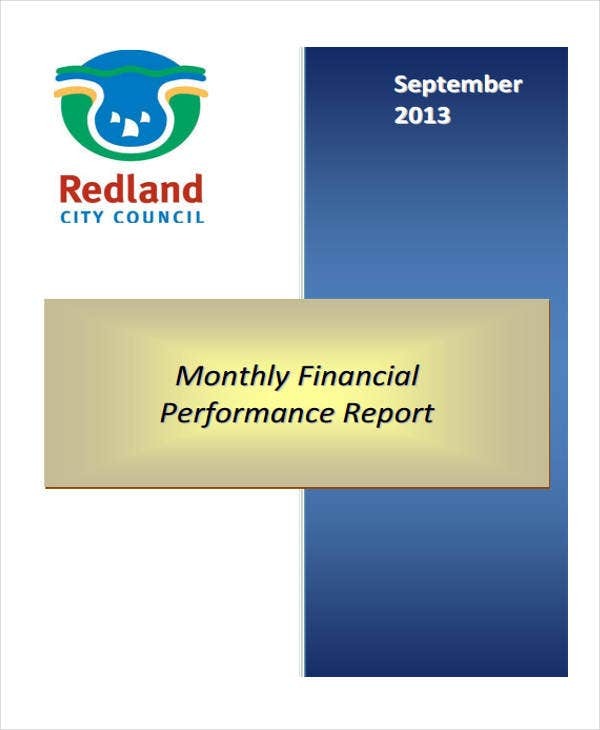 The uses of monthly reports obviously range within a wide variety. 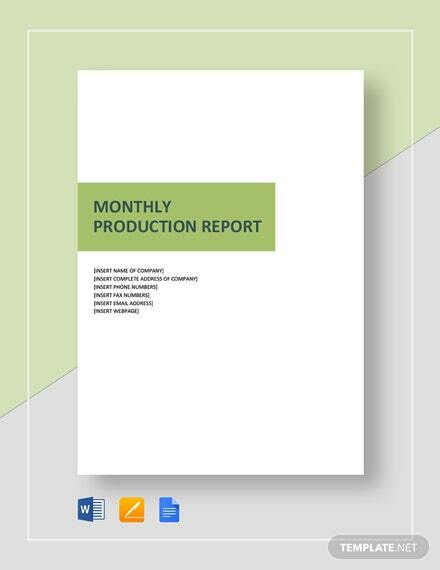 Creating the same report every month could slow down production and limit accuracy. 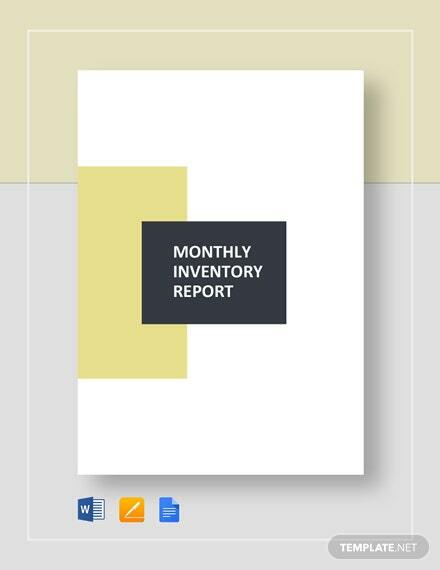 That is why monthly report samples on this page are the perfect documentation and monitoring tools for different endeavors. 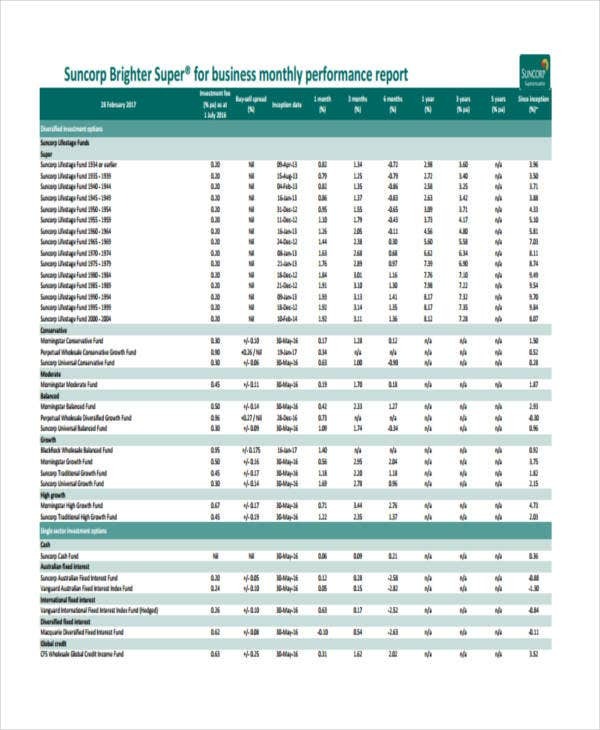 What Is a Monthly Report? 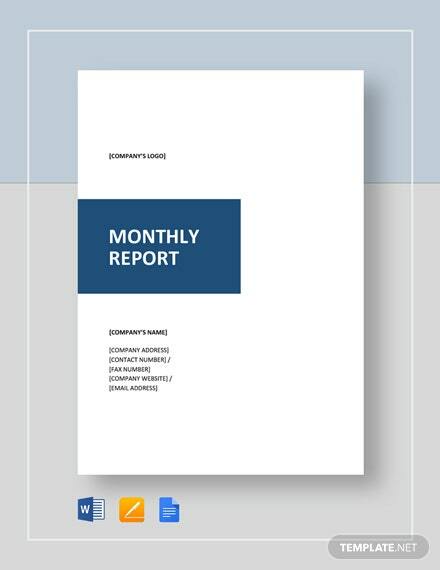 A monthly report is an informational document designed to relay information about monthly activities, significant events, and other noteworthy details. 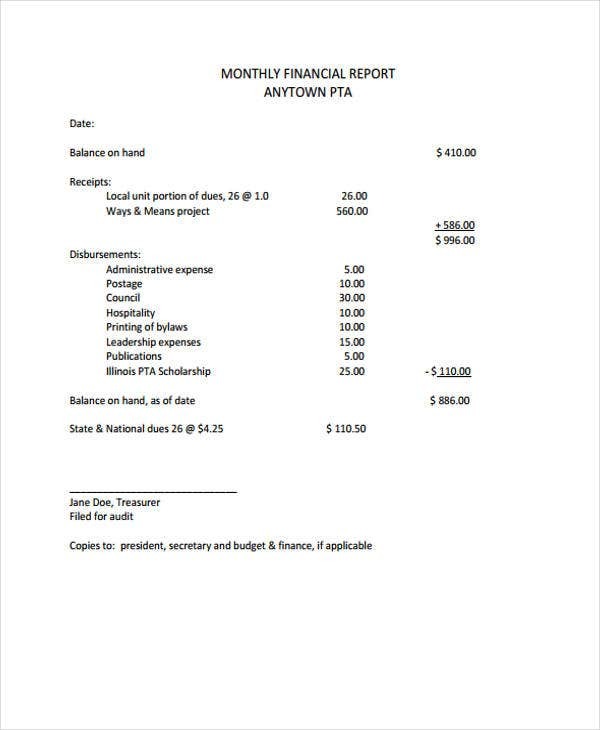 Such written documents could be summarized in a single page or more depending on the subject matter to be presented as a report. 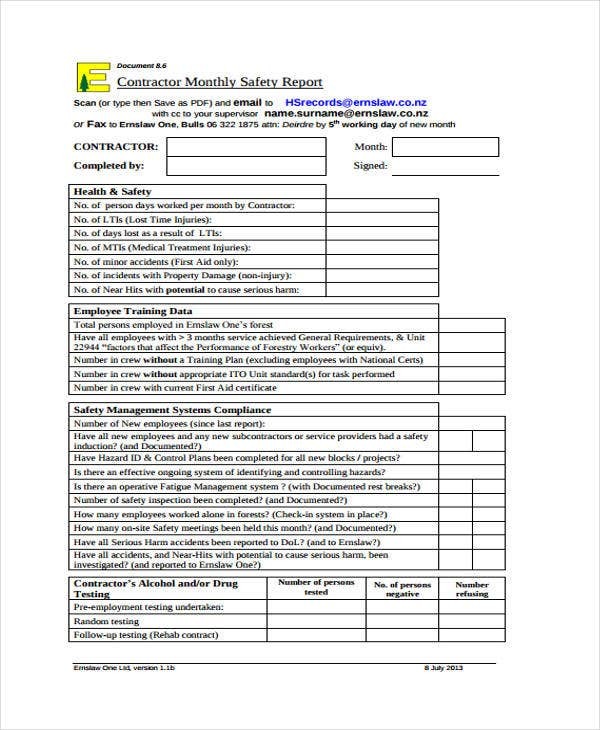 Due to demands of reports on a monthly basis, different monthly report templates can easily be generated to serve any appropriate purpose. 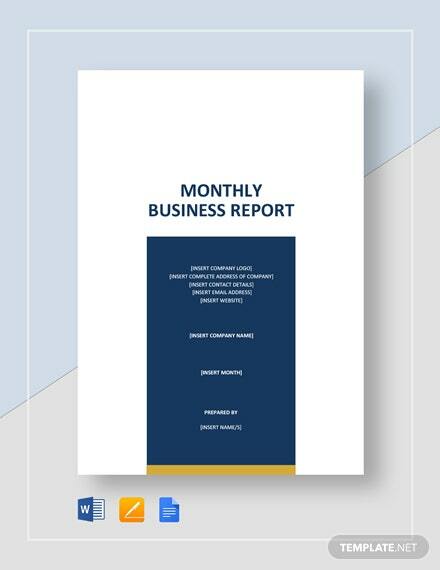 Monthly summary report templates are ideal pre-made documents that are easy to fill out with its structure as a report writing guide. 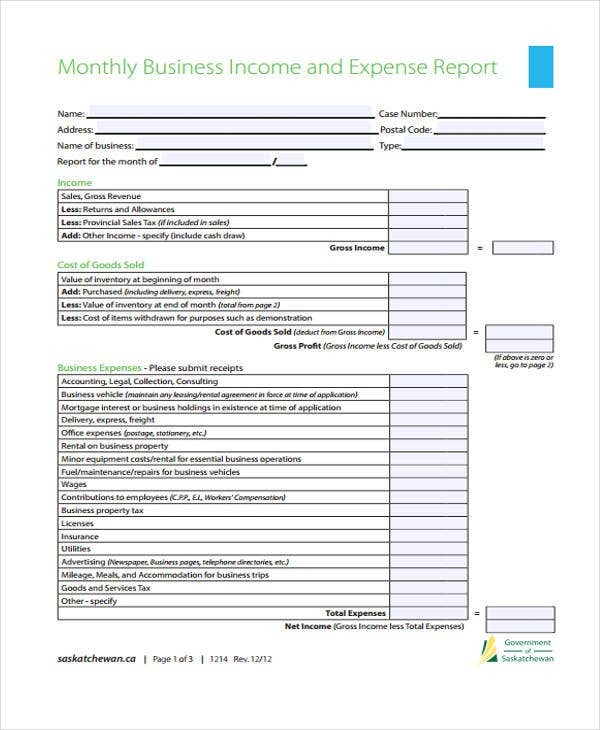 The purpose of generating monthly reports revolves around 2 main factors—status and progress. 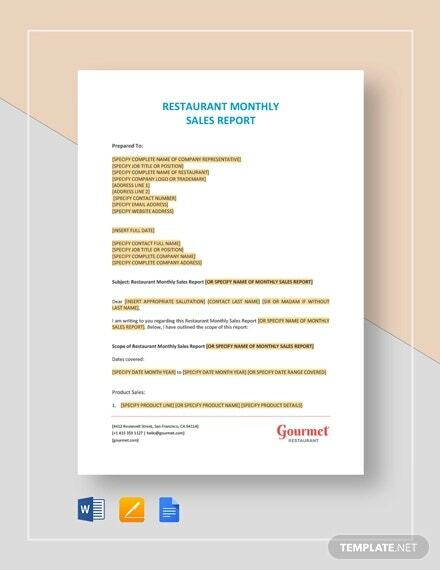 Various industries see vital purposes as to why a monthly report is to be submitted every calendar month and collate meaningful information is one. 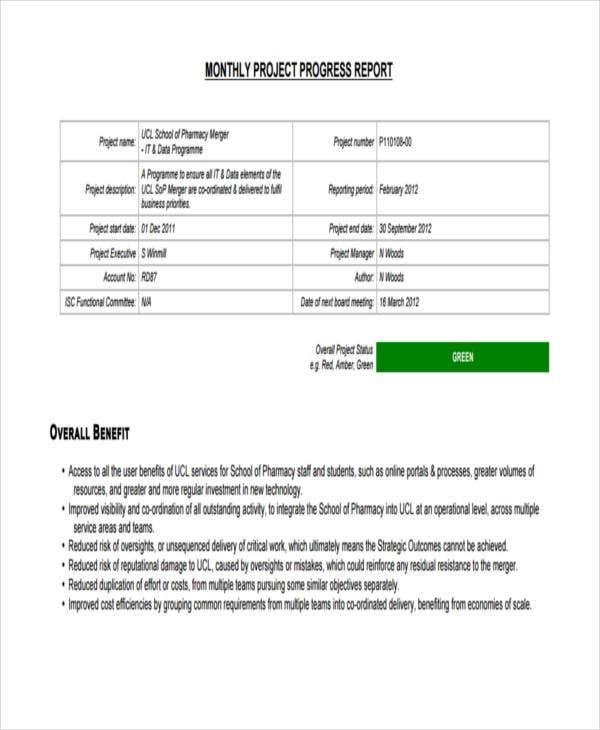 Upon looking at a structure of a report sample, you would already know what it’s for. 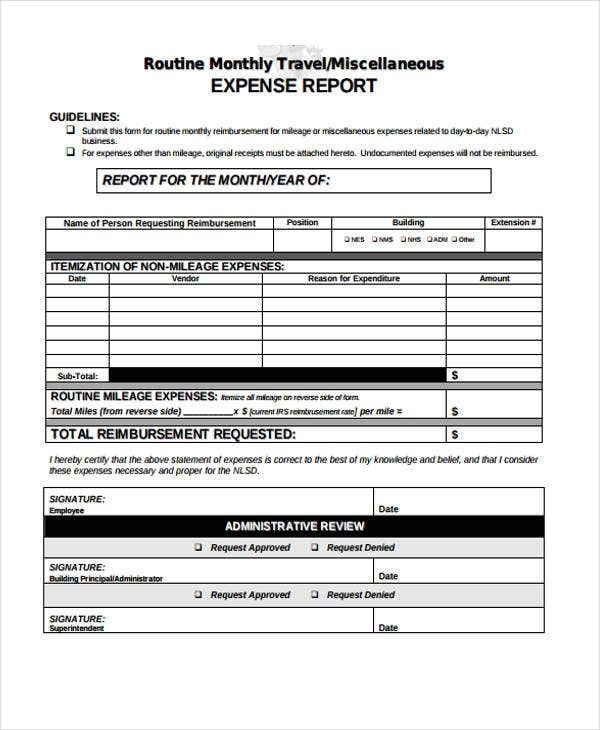 The report title, labels, and all the required information conclude a specific purpose. 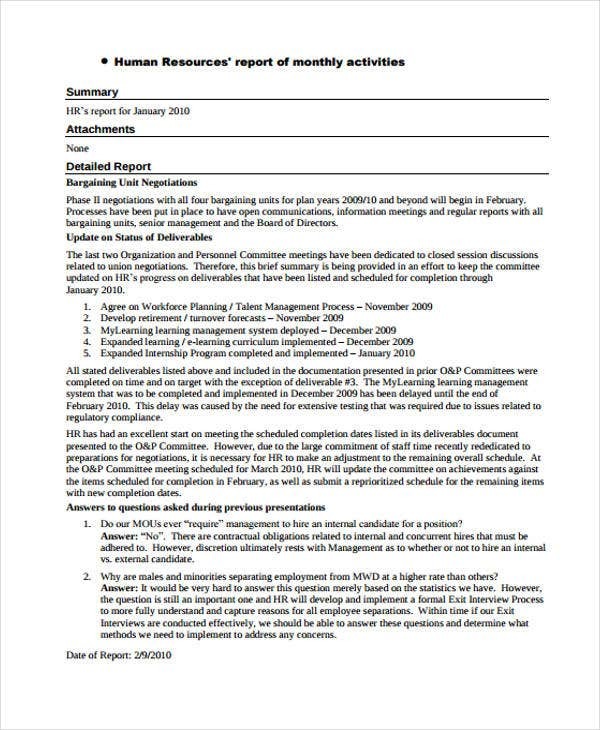 The required information that make up internal audit report templates could independently determine its purpose to report on audit feedback and official inspection findings. 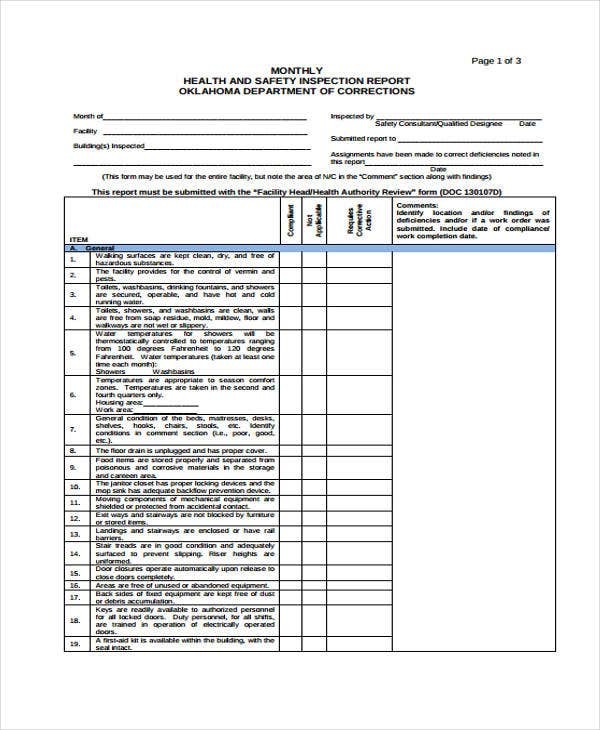 Such template could be useful in industries that need to auditors while pursuing operations. 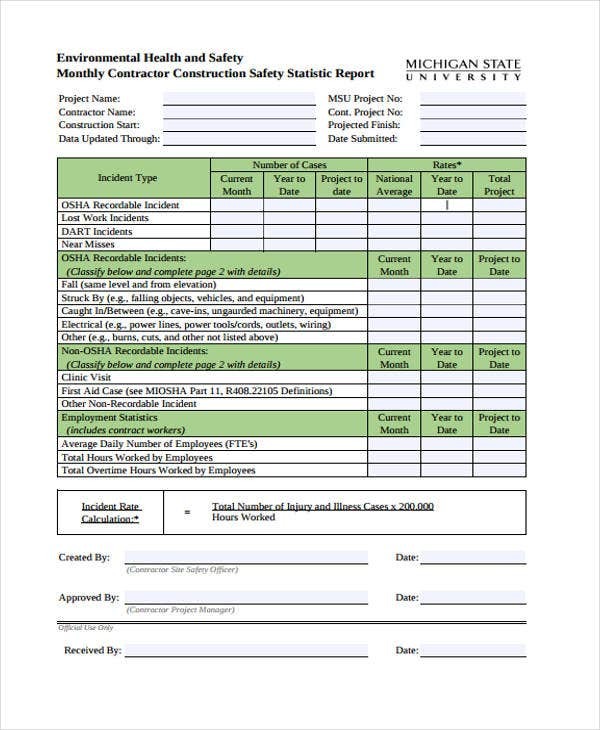 The definition of a monthly report that has been previously instilled should be applicable and observed when writing one’s own monthly report. 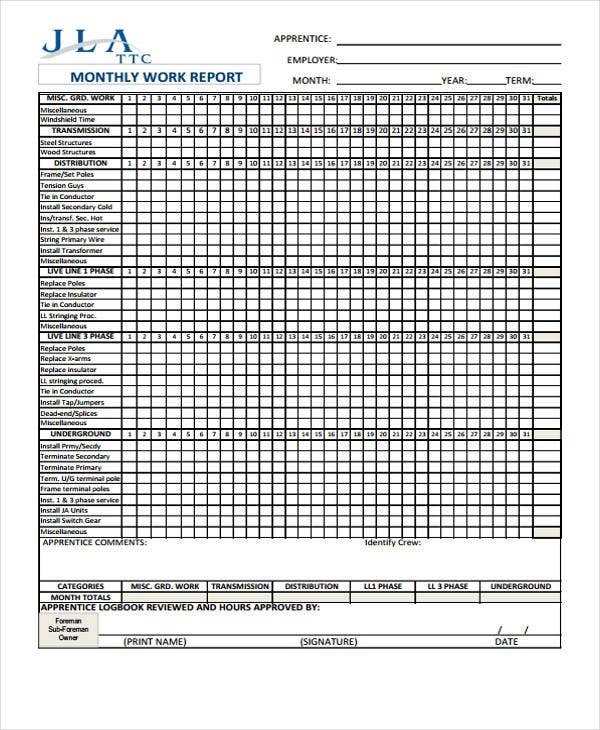 It always pays to structure a monthly report with an organized format and results would be convenient to interpret as well. 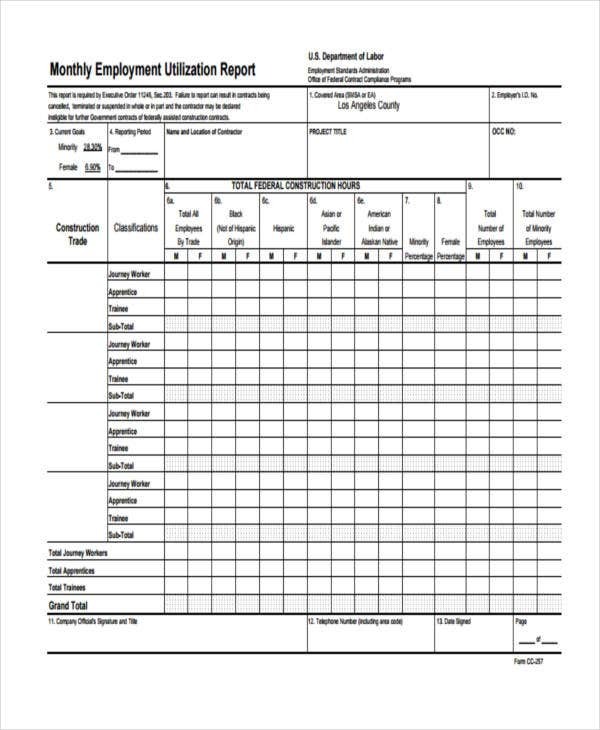 Identification – Whether you’re filling out board report templates or following through your own report example, report identification details are the primary information that should not be missed. 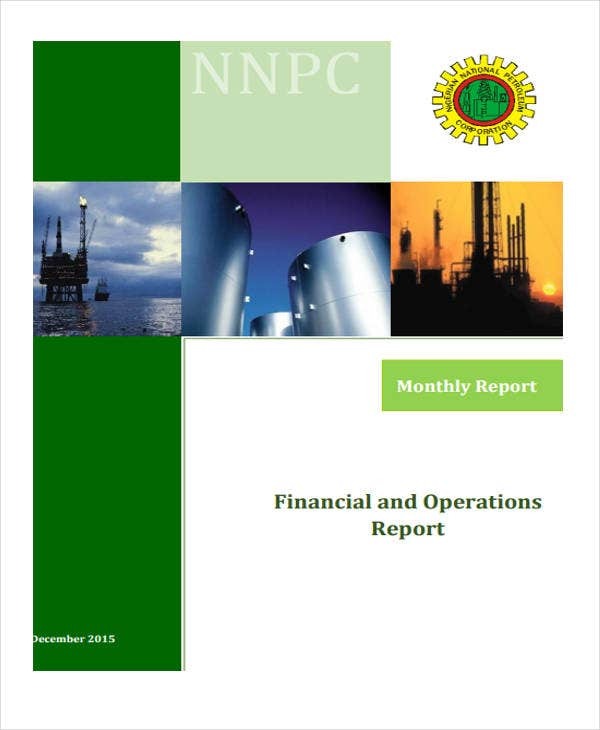 Introduction – A number of reports are produced in different industries everyday. 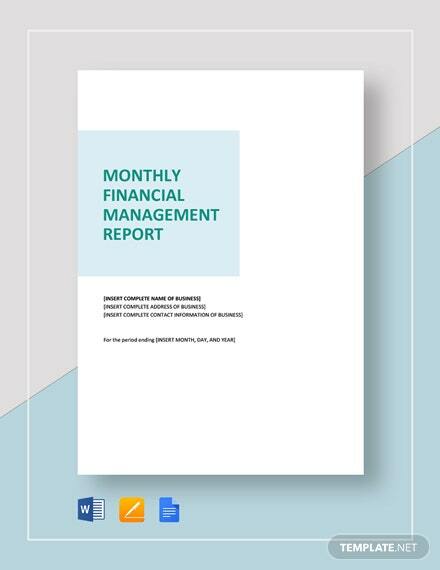 Chances of your monthly report getting mixed up with other documents are high and it could be mistakenly identified at some point. 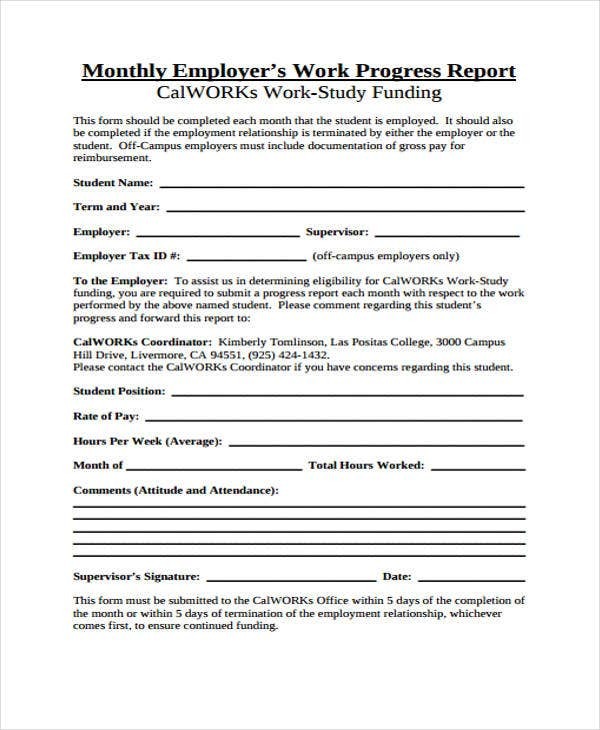 To avoid dealing with such, provide a brief and descriptive introduction about the scope of the monthly report. Monthly Objectives – Every month could mean different or the same set of objectives. 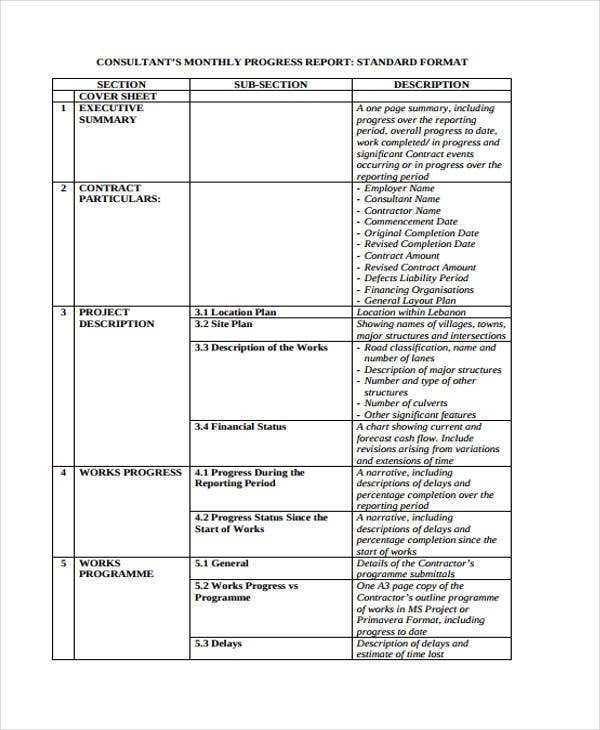 Even then, it is important to list down the monthly objectives and be indicated as the monthly standard. This will be the main basis on whether monthly objectives are met or not. 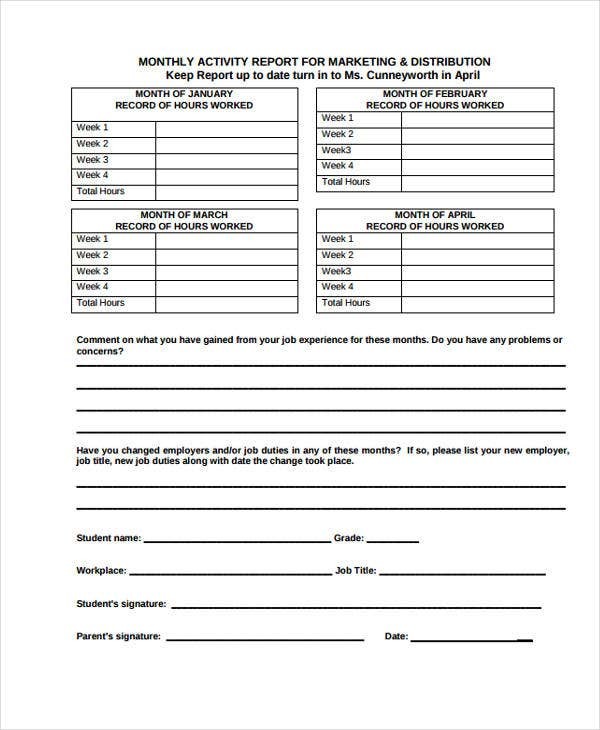 Accomplishments – One good way to start a monthly report is to greet your reader with the accomplishments achieved within the one month course. It could be enumerated in either bullets for more emphasis and discussed in a sentence or two. Setbacks – In the same manner the accomplishments are presented, monthly difficulties should also be taken note of. This would serve as a reminder for the reader that there are certain objectives and goals for the month that haven’t been realized due to known reasons. 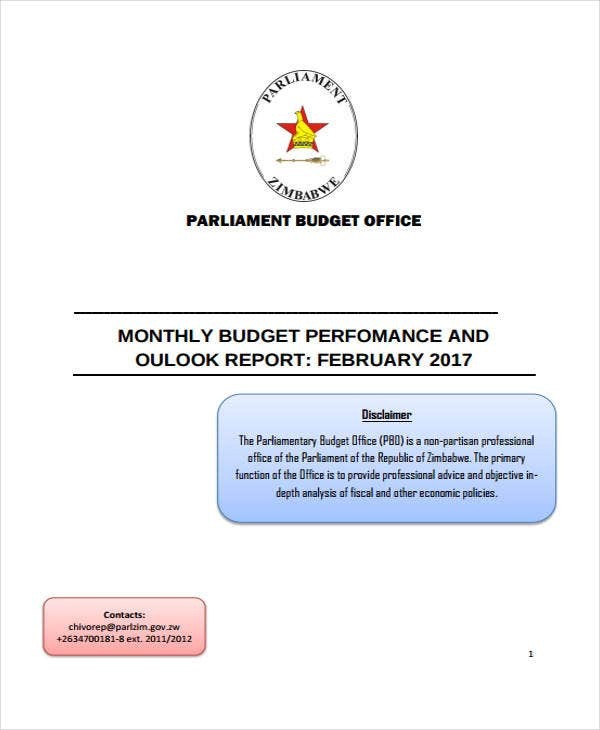 Conclusion – Report on the overall progress or status of the entire report for the month. 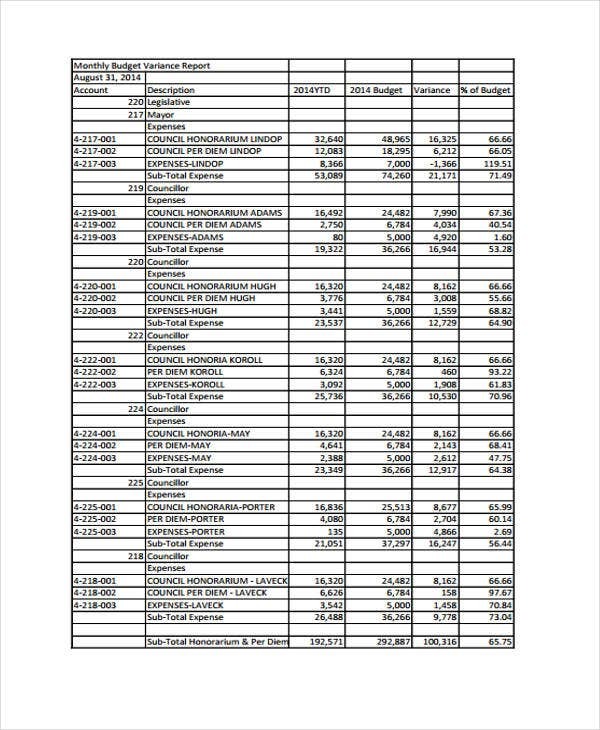 It does not have to be perceived as a repetition of the enumeration of monthly accomplishments and setbacks, it just needs to highlight significant matters for emphasis and reiteration. 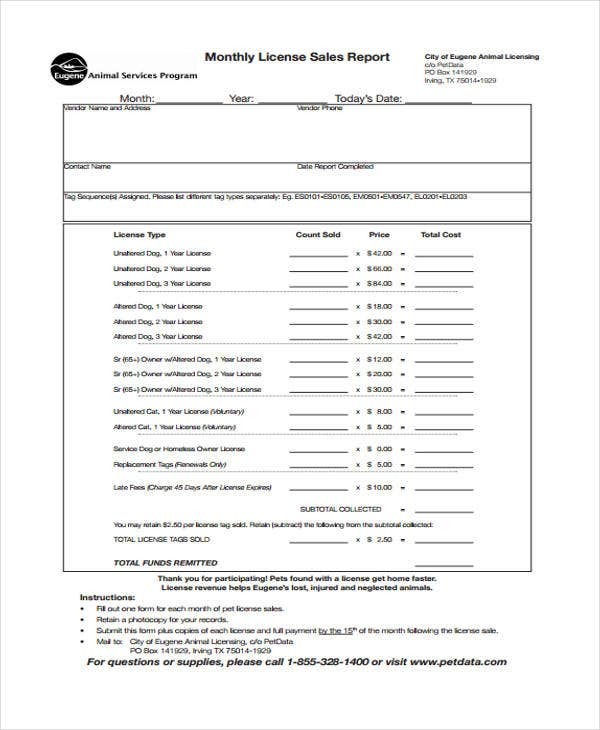 Clients are valued people. 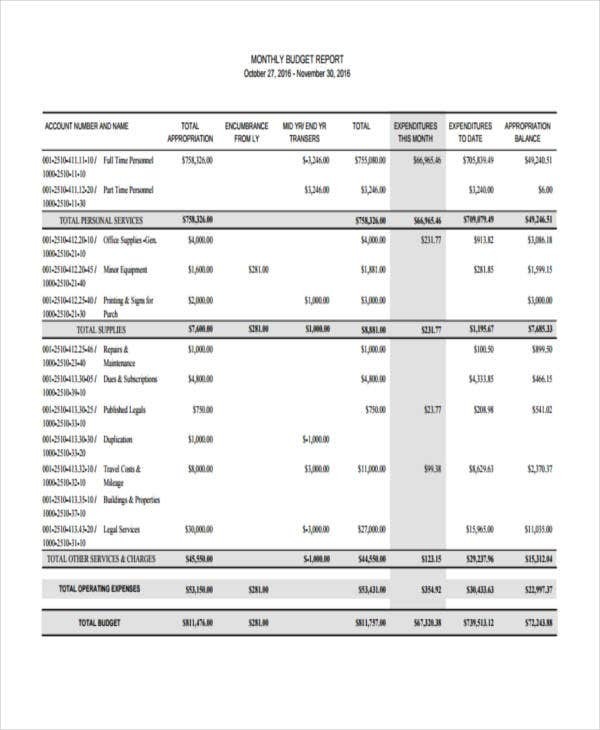 Whether they’re availing products or services, they deserve to be given accurate and comprehensive reports that’s of the same worth of how much they pay. 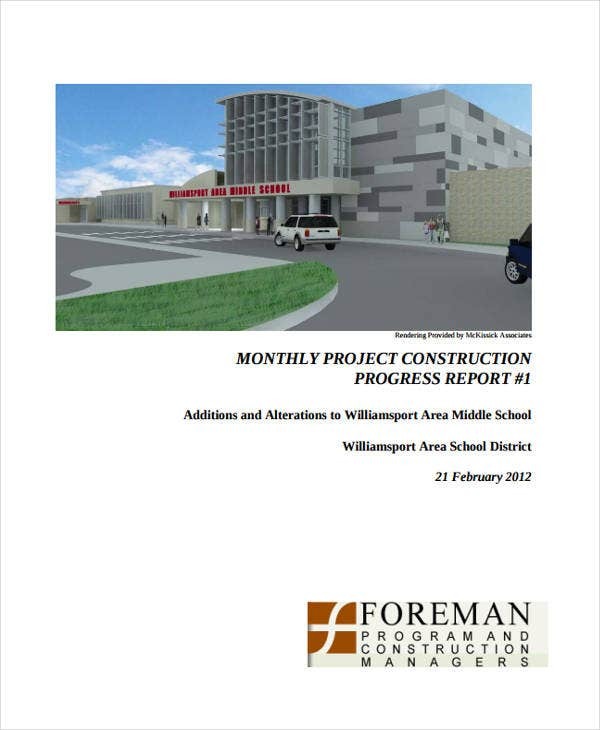 Project Goals – These project goals are usually given by the client that just need restating. 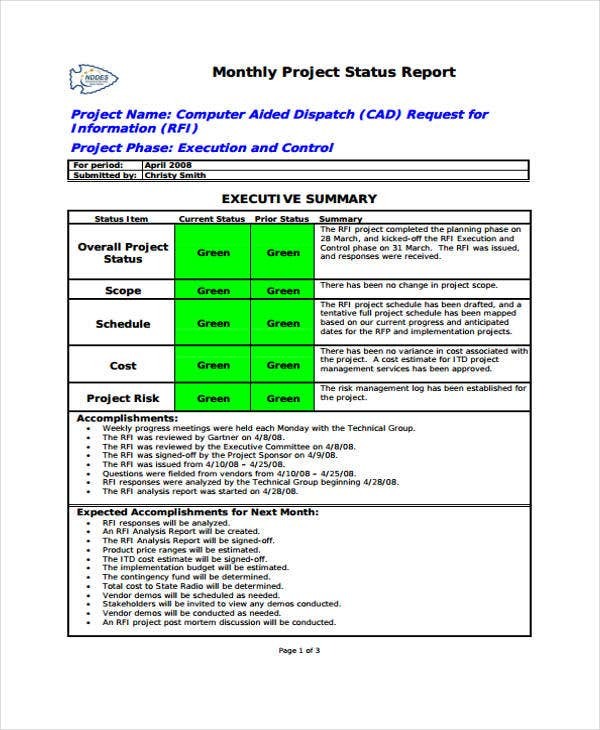 If you have used project report templates for clients, every goal should already be itemized for easy reference. 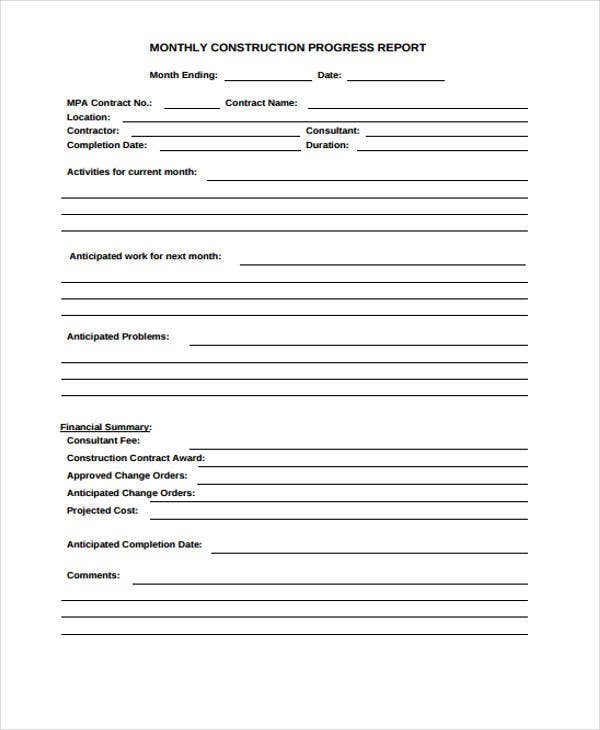 Satisfactory Accomplishments – Clients would be pleased with the list of accomplishments that have been realized throughout the agreed monthly timeline. 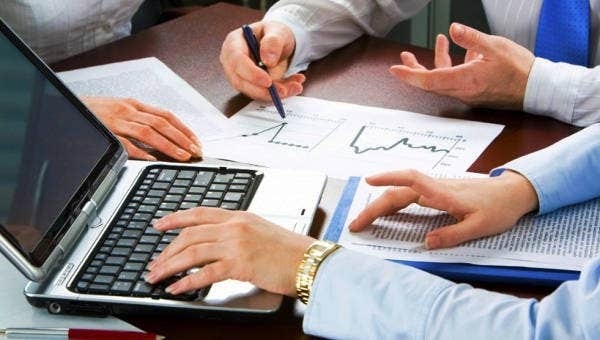 Future Plans – Should there be pending objectives under reasonable circumstances, you could just at least make use of expense report templates and give out an estimate cost breakdown for future plans to pursue. Statement of Assurance – There could be projects that approximately last for more than a month. 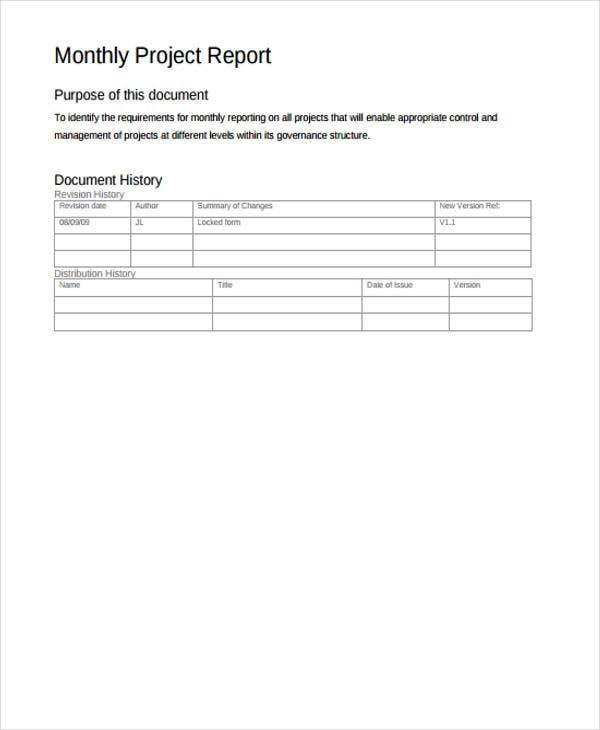 Therefore, any report sample in Doc and PDF file format stating assurance of project completion will make clients feel at ease that their requests and demands are to be fulfilled in good hands. 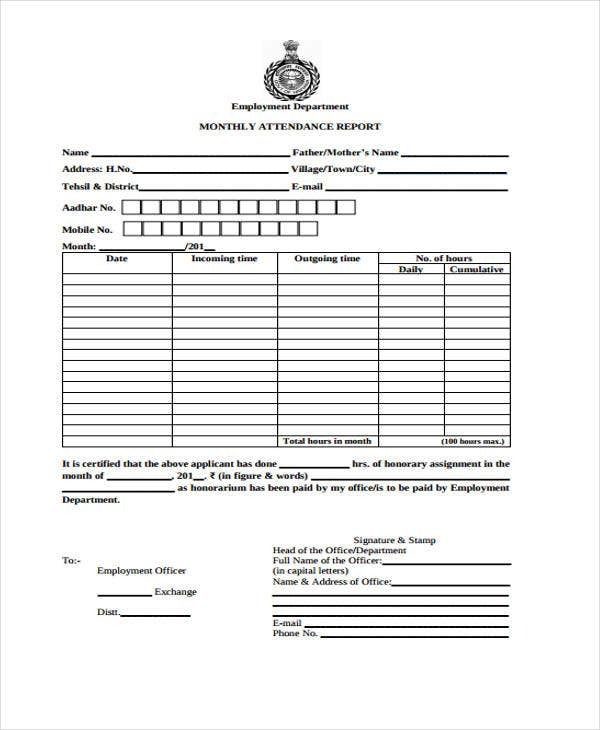 It is given that submission of monthly reports are required in different industries. 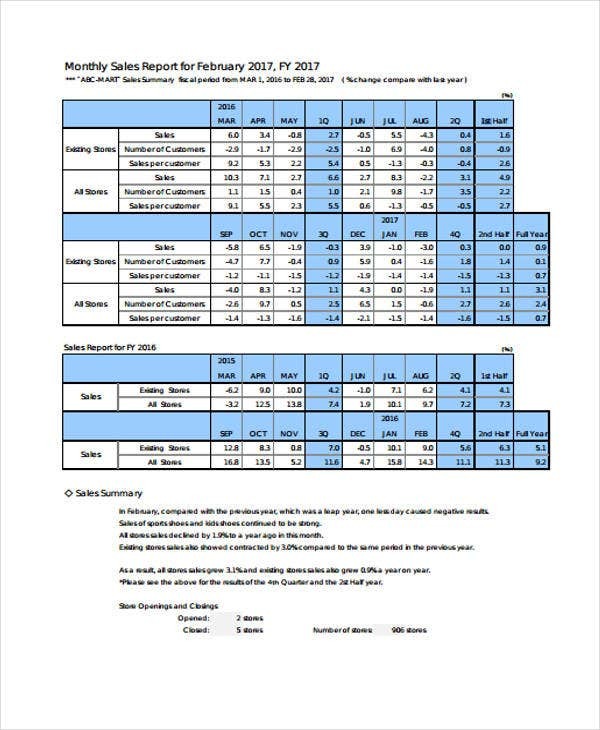 However, format and structure of each report still differ in so many ways and one might only find it confusing to use monthly report templates. 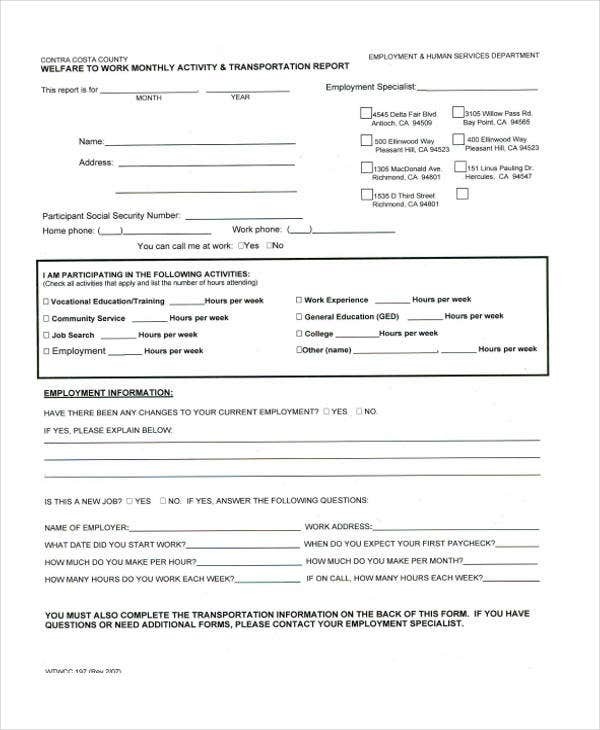 Choice of Template – Various templates are made available for you to download. 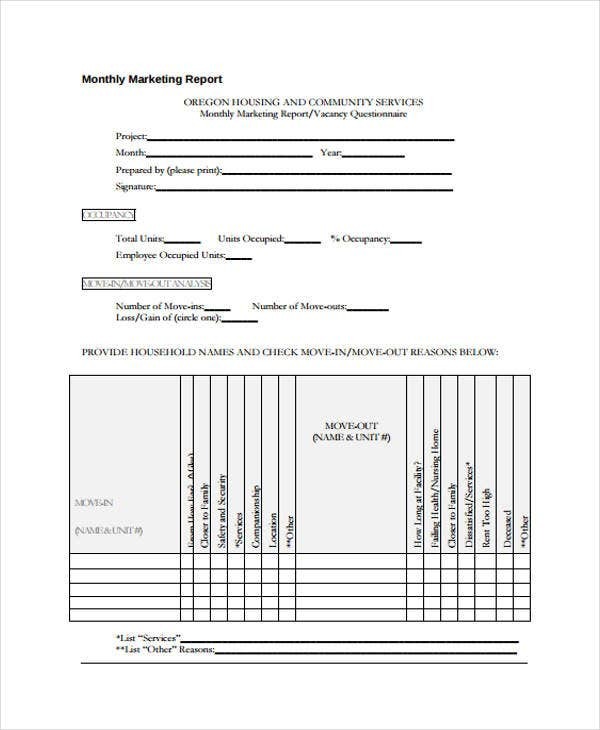 There are even a lot of monthly report templates on this page but a wrong choice of template only ruins a report. 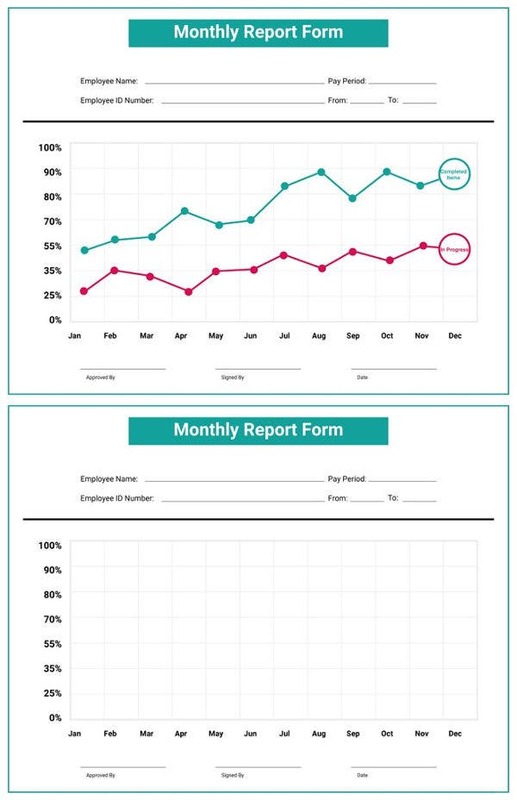 The right report format matters and it should be anything appropriate for the subject matter you are reporting on. 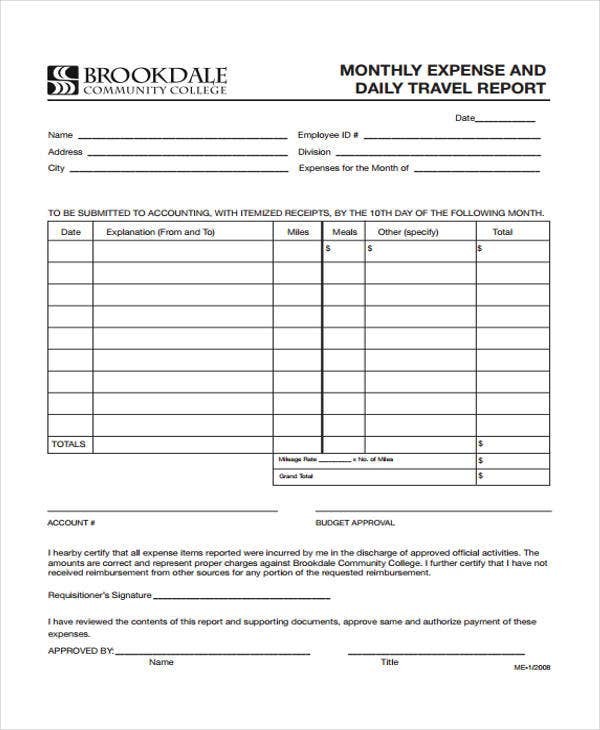 Input of Information – Filling out templates could be the next easiest thing to do after downloading one. 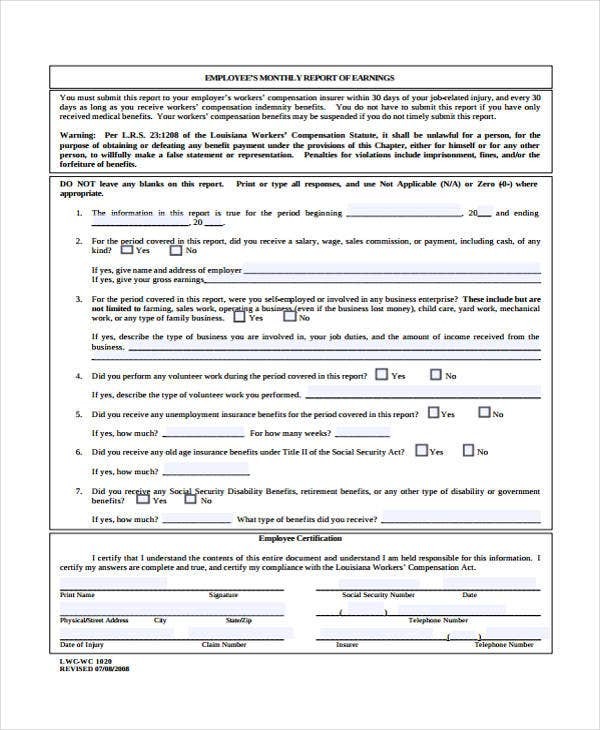 Take advantage of it as a writing guide and fill the template only according to the information asked. 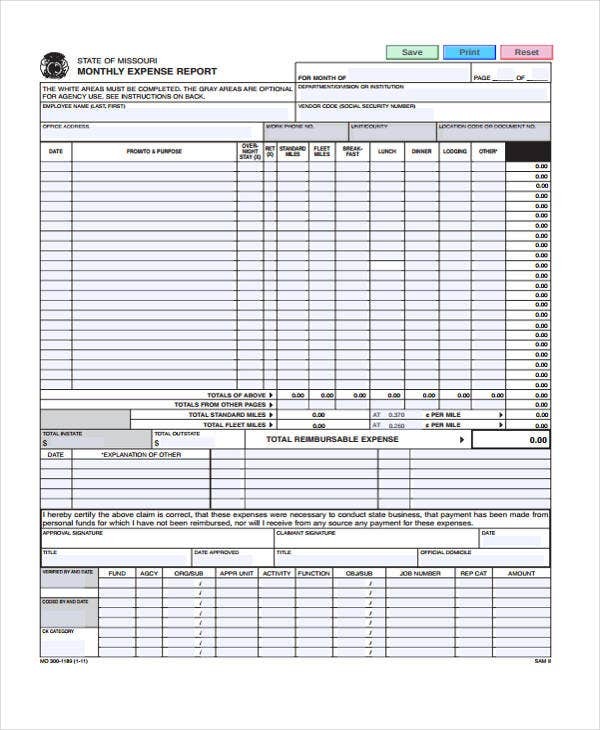 An accident report template would certainly need accident related information. 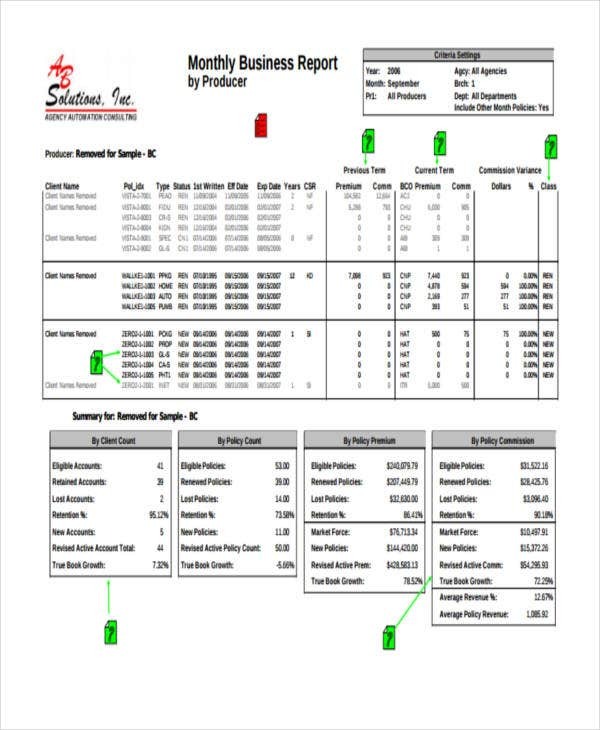 Report Validation – Usage of templates is convenient, yet bulk production might lose it validity at some point. 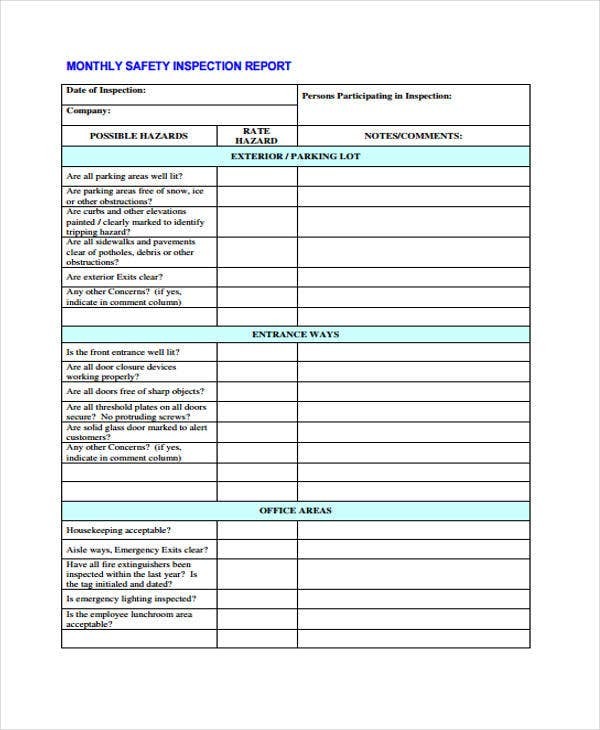 Fill out monthly templates with authority and validate the same just when it is subject for submission. 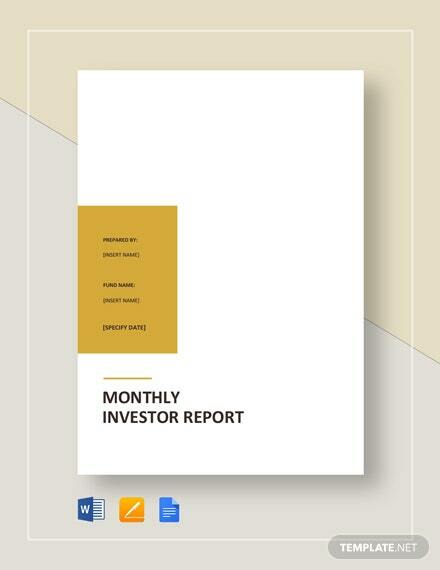 There are indeed a lot of monthly report templates to choose from. 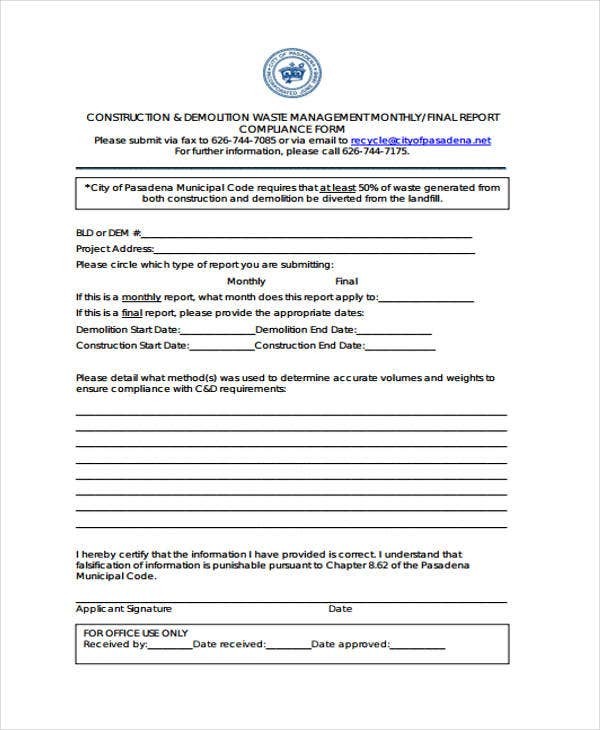 By choosing the right template and validating it with accurate information, your reports are most likely to be efficient to read.